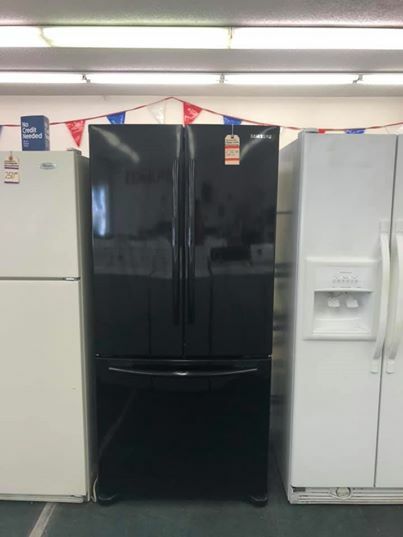 QUALITY APPLIANCES LLC - Specials! REMEMBER, ALL HAVE FREE 30 DAY WARRANTY! Specials! REMEMBER, ALL HAVE FREE 30 DAY WARRANTY! ITEMS ON THIS PAGE ARE A SMALL REPRESENTATION OF SOME OF THE NICER ITEMS IN OUR STORE. THIS PAGE IS UPDATED AS SOON AS POSSIBLE WHEN ITEMS SELL OR OTHERS COME IN. 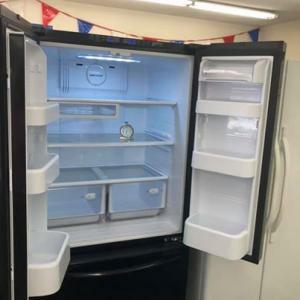 OUR STORE HAS APPROX. 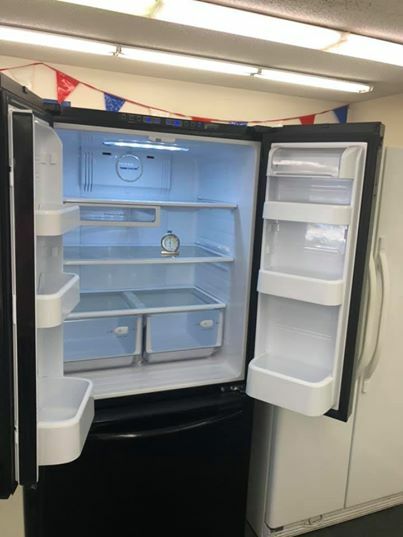 60 APPLIANCES ON DISPLAY AND READY FOR SELL AT MOST TIMES. SUPER NICE GE PROFILE GAS RANGE (PROPANE/LP). 30" WIDTH. PLEASE NOTE THIS IS A SLIDE-IN (NO SIDE PANELS. 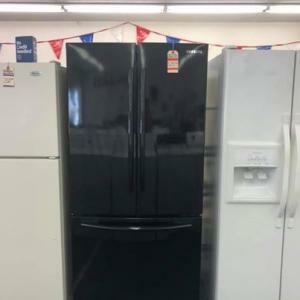 VERY NICE GLOSS BLACK SAMSUNG FRENCH DOOR..........................................$525.00....SOLD! ALMOST PERFECT!!! 32" WIDTH, 21 CUBIC FOOT. ICEMAKER IN FREEZER SECTION. ALL OUR REFRIGERATORS ARE PLUGGED IN AND RUNNING WITH THERMOMETERS. ELECTRIC RANGES. ALL STYLES AND COLORS. WEBSITE IS UPDATED AS ITEMS SELL OR COME IN. HOWEVER WE CAN NOT GUARANTEE ANY INDIVIDUAL ITEM WILL STILL BE HERE WHEN YOU SHOW UP, AS INVENTORY CHANGES OFTEN. PLEASE CALL AHEAD TO VERIFY STOCK IF YOU'RE MAKING A LONG TRIP TO SEE AN ITEM. THIS "SPECIALS" SECTION IS A VERY SMALL REPRESENTATION OF OUR BEST INVENTORY. WE HAVE 40-60 PIECES ON THE FLOOR AT ANY GIVEN TIME, INCLUDING MANY MUCH LESS EXPENSIVE PIECES.